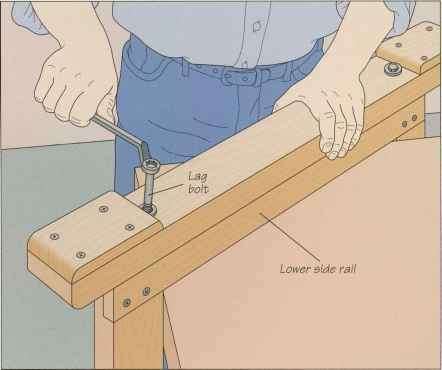 Cut half-lap joints in the side rails and stiles (page 107). 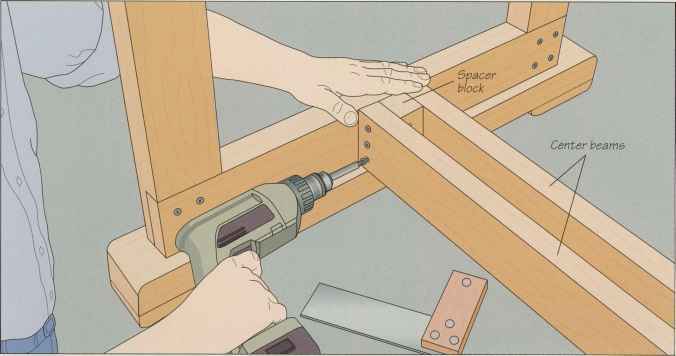 Assemble each joint with four screws and glue, then center the feet on the bottom of each side and drill a pilot hole 5% inches from each end into the lower side rails for a 3V2-inch-long, i/4-inch-diameter lag bolt. 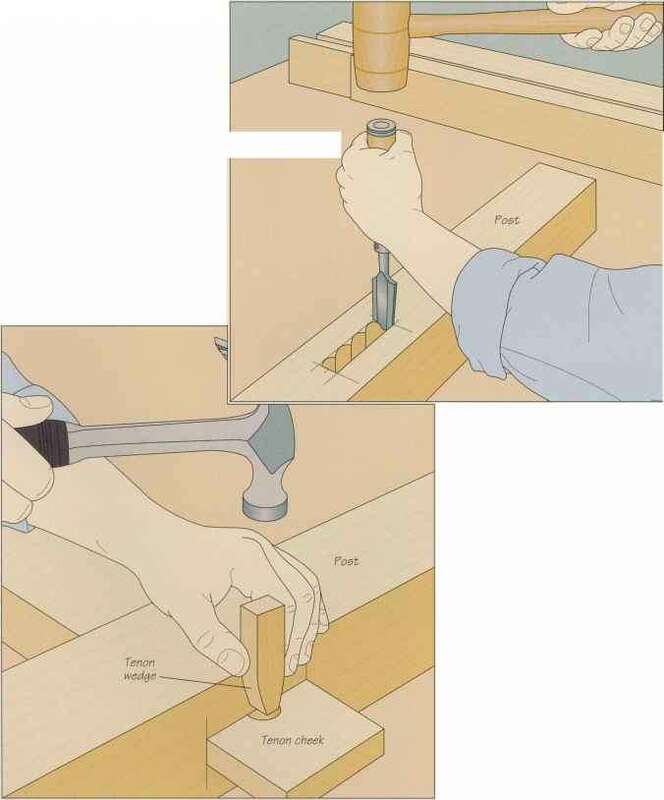 Add a washer, then insert the bolt in the hole and tighten it with a wrench (right).